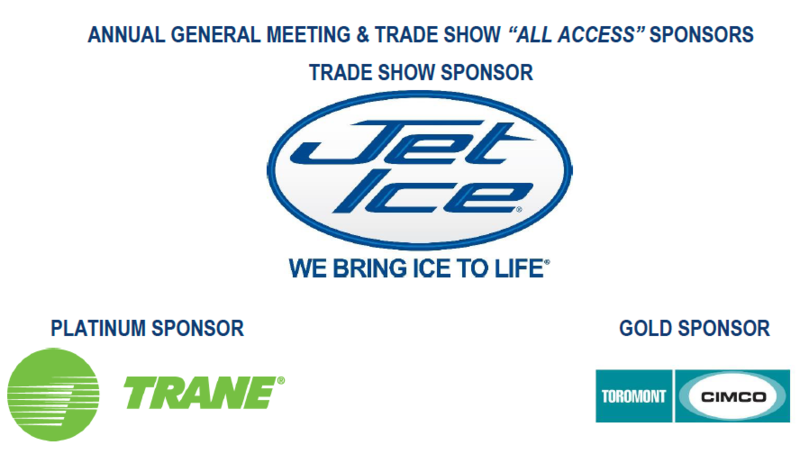 Exhibitors will be showcasing products and information in the fields of arenas, aquatics, turf, playgrounds, building operations and more! Fingers foods will be provided throughout the afternoon as well as a cash bar. 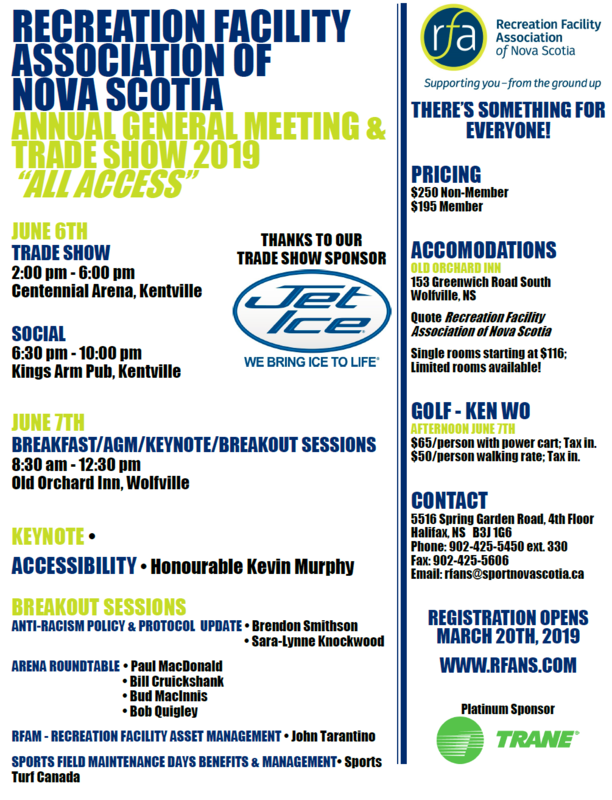 Deadline to register a booth is May 10th, 2019. Join us after the Trade Show for more networking in a social atmosphere! Appetizers will be provided. Register before May 10th and be entered to win a nights stay at the Old Orchard Inn & a $300 credit to RFANS! The Hon. Kevin Murphy will present a brief history of his involvement in amateur sport prior to his hockey accident giving his perspective as an athlete, and a bit about his hockey accident with a focus on safety procedures in facilities, his post injury involvement in community advocacy for persons with disabilities, his post injury involvement as an administrator/volunteer for local amateur sport, and now his experiences as a parent (with a disability) of an amateur athlete. Attendees will be introduced to the RFAM solution that is being offered as a value-added service to RFANS members. There will be an overview of the various modules available, details on future releases, and how various organizations across Canada have benefited from implementing this solution. This session will highlight the benefits of the RFAM solution and how it enables facility and open space staff to complete their daily functions. One benefit of adopting the RFAM? The RFANS will be better able to understand and address the needs of its members. Attend a discussion with four experienced professionals working in Nova Scotia Arenas. The panel has year of experience working in the arena industry around event planning, ice and arena maintenance, scheduling and more! Delegates are encouraged to send questions or topics for discussion prior to the session to rfans@sportnovascotia.ca. Questions and discussion topics will also be taken from the floor during the panel session. The Nova Scotia Tripartite Forum Sport and Recreation working committee has created a resource for facilities to help address the issue of racism and/or discrimination. The resource is a living document that can be streamlined into current facility policies and procedures. The resource is a full policy, which includes an Action Plan, should an incident occur. Phase 1 of the project was the development of the resource, along with a pilot project of implementing the resource into CBRM arenas. Phase 2 was partnering with RFANS to share the resource regionally throughout the province, and provide learning workshops about the policy and Action Plan. Creating and effectively utilizing an in-season field closure program can be extremely challenging. Come and hear how a variety of municipalities are handling these opportunities, some with great success. Find out about the parties involved in making a field closure for maintenance work and the best practices used by those who actively use these programs. User group communication techniques will be shared.